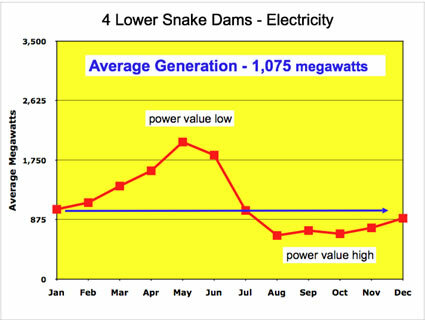 The Lower Snake River Dams generate an average of about 1,000 megawatts per year. The Northwest Power and Conservation Council’s 6th Power Plan estimates load growth through 2030 at 6,000 additional average megawatts. 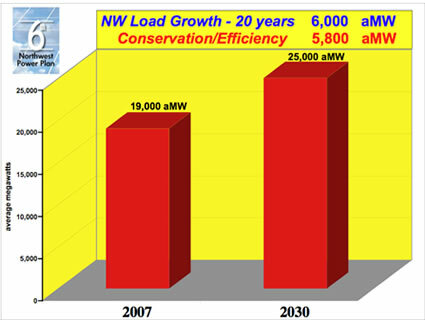 The plan also sets an achievable goal of nearly 6,000 aMW of conservation and efficiency indicating new energy demand in the Northwest can be met with conservation. 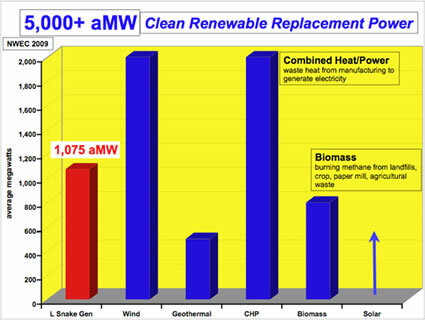 Replacing the average 1,000 megawatts of electricity generated from the lower Snake dams can be done with non-carbon renewable energy - wind, biomass, geothermal and solar. Solar technology is moving at light speed and costs are coming down. 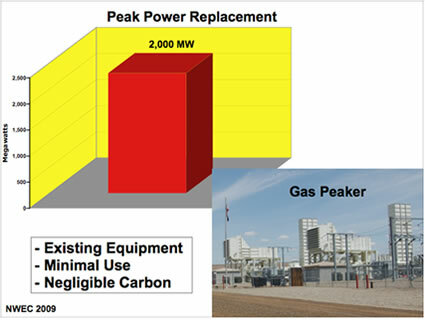 Peak generation of 2,000 MW will likely require some additional natural gas but for a very limited duration.